Allahu Akbar. God is the greatest. We hear it from the minarets as they call Muslims to prayer. A year ago I saw a news clip where a bus full of refugees finally allowed to enter Germany were crying it out. Not long after I graduated college others in a plane cried it out as they slammed that plane into a building and the whole world held their breath. Allahu Akbar. God is the greatest. It means many different things to many different people, but what does it mean to you? For the Jew, its use matches closest in resemblance to the Shema. 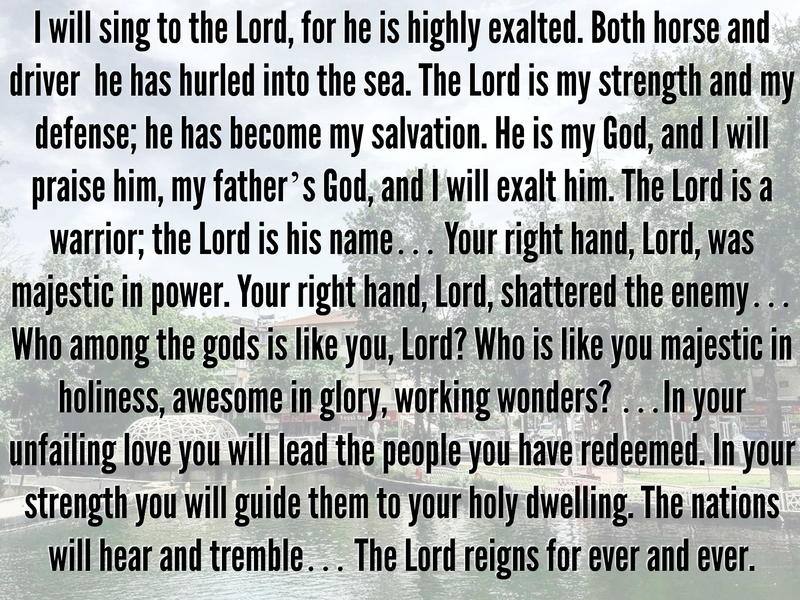 Hear oh Israel, the Lord your God is one God. For the Christian, the use matches closest to Hallelujah. But Hallelujah means “God be praised”, or “glory be to God”. Hallelujah is a declaration of what we should do for God, or perhaps what God deserves from us. Allahu Akbar, God is the greatest, is more a declaration of who God is to us. Christians, Jews, and Muslims all agree on this point. Allahu Akbar. God is the greatest. El Shaddai. God Almighty. God is omnipotent. We have just sung worship songs declaring the greatness of God and there is scripture after scripture we can read that talks of the greatness of God. In the Bible, after the holiness of God, and the love of God, it is the third most emphasized thing about the character and nature of God. There is no question that God is great. But how is God great? If I were to ask you that question, how would you answer? Or perhaps I can put it another way… When was God at His greatest? If you were to look at all of history and every story in scripture, what would you point at to answer this question? Is there one specific moment in time that immediately comes to mind that comes to mind as your answer to this question? There is for me, but would your answer be the same as mine? When was God at His greatest? 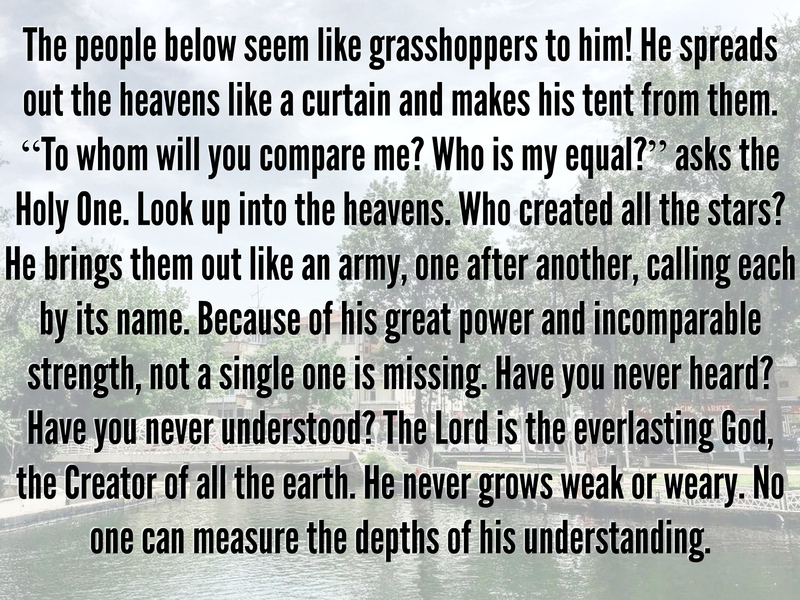 One of my favorite Bible stories tells a time when God showed His greatness through a young boy. At this time the Jews were being oppressed by their neighbors out of Gaza called the Philistines. This group had come in from the sea, stolen the western coast of the Promised Land and subjected the Israelites to oppression during the time of the Judges. Under the first King, Saul, the Israelites had started to break free from this oppression but then the Philistines marched out their champion named Goliath. Goliath was huge. He was over 2 meters tall at a time when the average adult male was barely more than 1.6. Every day Goliath would come out, mock the Israelite armies and dare them to send out a challenger to come and face him. The Israelite soldiers all did the wise thing. They ran and hid. Into this story walks a teenage boy named David. He was sent to bring his brothers some food from dad. David happens to be there when Goliath comes out to make his daily challenge. Everyone else starts to run away but David asks, “Why are you all scared of this guy?” His brothers tell him to shut up but he ignores them and keeps asking. News of this reaches King Saul and David is given permission to go fight the giant. As great as God was through David, this is not the greatest. There are plenty of other times when God shows Himself even greater than this. Now a little backstory, for the past 400+ years the Israelites had been slaves to the Egyptians. God had already miraculously protected Moses when for a time Pharaoh, the ruler of Egypt, had tried to kill all of the Hebrew boys. As an adult, Moses saw an Egyptian mistreating a Hebrew slave and he kills the Egyptian. Then, fearing that his misdeed will get him in trouble, he flees into the desert. There he lives for forty years, he has a wife and a son, but God calls him to go back to Egypt and set the Israelites free. After losing a debate with God on his own unsuitability to this task, Moses finally goes. What comes next is what we today call the ten plagues. God would send a plague on Egypt, Pharaoh would say, “OK. Enough. Go already.” The plague would stop, and Pharaoh would be like, “Just kidding. Get back to work.” Ten different times, in increasing severity God shows his power through the plagues. What we don’t realize today is that these weren’t just random punishments. Each plague was specifically designed to target an area where one or more of the Egyptian pantheon was the protector or guardian. 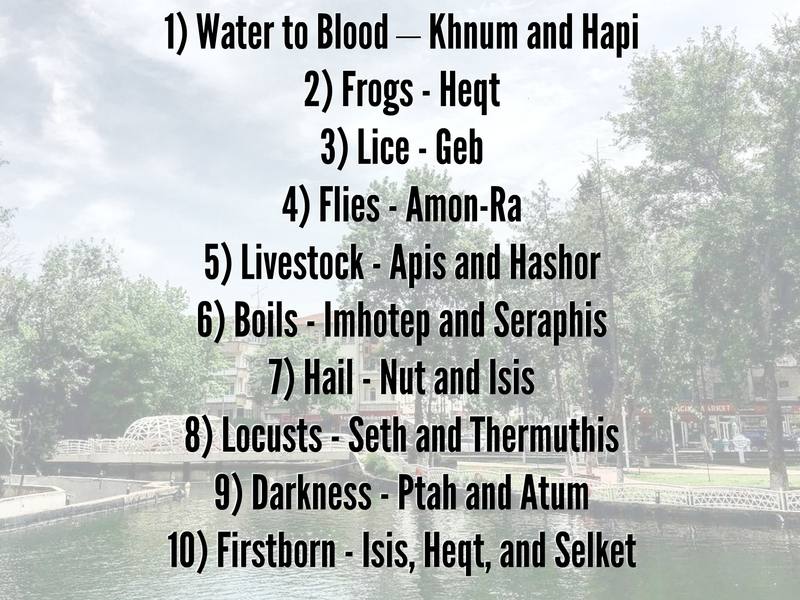 The ten plagues were literally a beat down of the gods. Finally, after this last plague, Pharaoh and all of Egypt begs the Israelites to go. In one day, two million slaves are set free and begin their journey into the Promised Land. God sends a cloud to lead them by the day and a pillar of fire to lead them by night but at first, it seems like this cloud is leading them the wrong way. Back in Egypt Pharaoh is regretting his decision to let his entire labor force just up and go. After all, who is going to finish that Pyramid and guarantee Egypt’s excellent tourist economy for the next five millennia? Besides, these Israelites are obviously no good without strong leadership. After all, they are heading off in completely the wrong direction. So Pharaoh gets his whole army together and says, we’ve got a couple million stray slaves to round up. 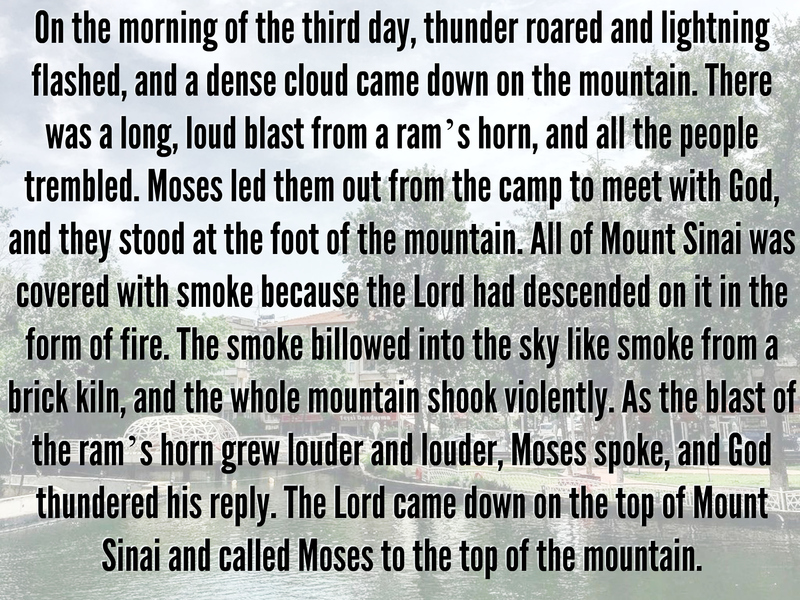 When Moses arrived at the mountain, God audibly spoke out to the entire community. He began, “I am YHWH your Elohim who rescued you from your slavery in Egypt. 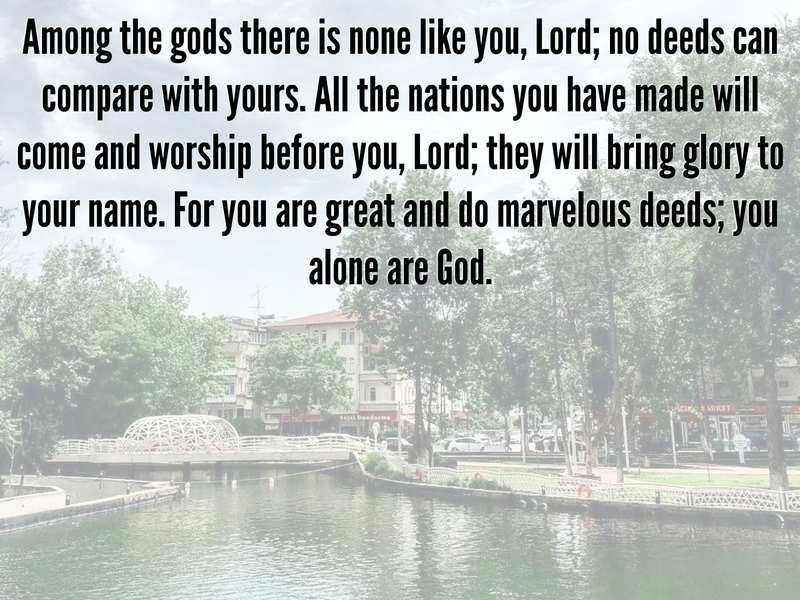 You will have no other gods but me.” He then continued on with the best, most famous, and most enduring piece of jurisprudence in all of history. We call it the Ten Commandments and there is no greater set of principles for any individual or community to live by. So here we have God displaying His greatness in rapid succession through His Power, His Protection, and His Precepts. But as great as all this is, no. It is not when God was at His greatest. My brother’s favorite display of God’s greatness takes place much later in Israel’s history. During the reign of a king named Hezekiah, there was another nation that was making its bid at empire. The Assyrians ruled through terror. One historian said that the way they would treat a rebellious or opposing city was basically creating the effects of a nuclear bomb long before they had the technology for nuclear weapons. Another historian said that if you were to take the Assyrian army at its peak and have it face off against the armies of Alexander the Great it would be a toss-up which side would win. 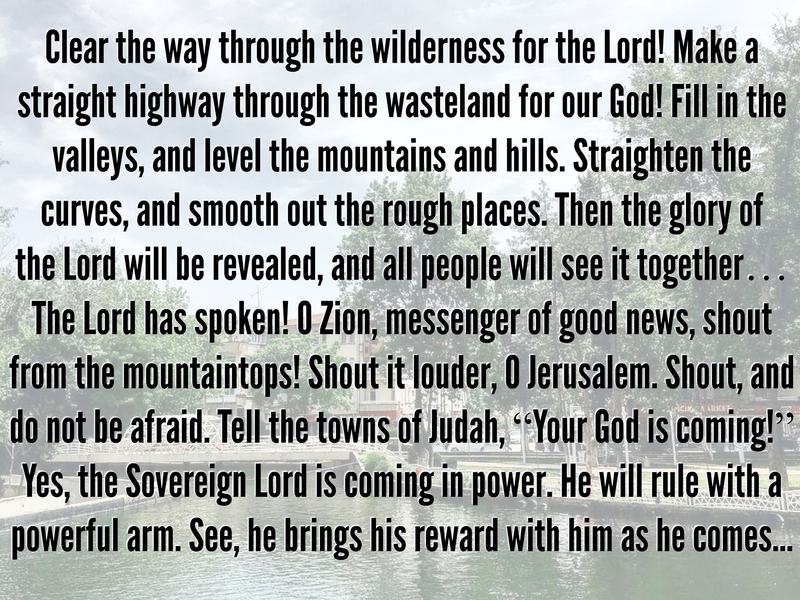 When Hezekiah hears this challenge he takes a copy of this speech and spreads it out before God in the Temple. 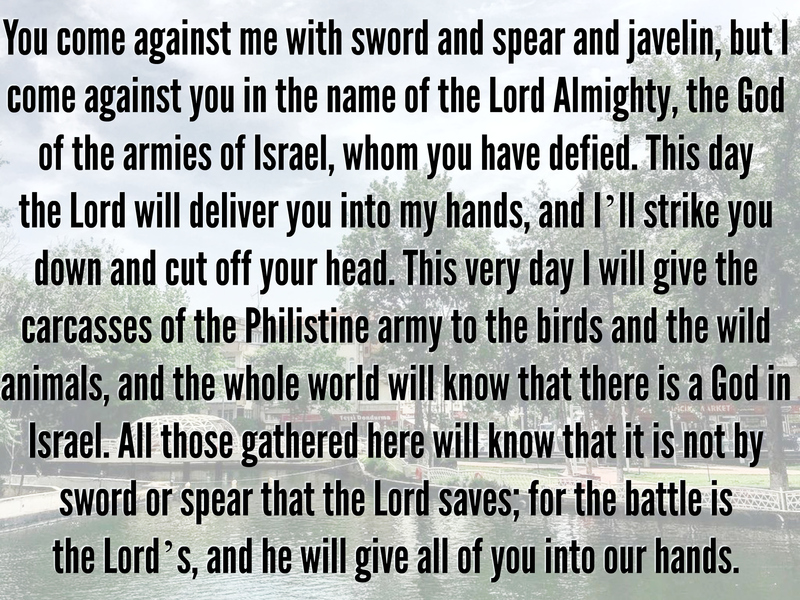 As he is praying for divine intervention, the prophet Isaiah sends him a message which is in turn sent out as Judah’s reply to the Assyrians. Can you imagine how the Assyrians must have laughed when they heard this message? Are you kidding me? The audacity of these little guys is amazing. This was the greatest field army ever raised in history anywhere in the world up to that point in time. And Jerusalem was just some puny capital of a third rate petty kingdom at this point in their history. There was no way on earth they had any right to send a reply like that. No way on earth. But in heaven? That’s a different story. The next day a few of those soldiers woke up only to realize that most of their comrades would never wake again. In one night, 185,000 soldiers died. The Assyrian King, Sennacherib flees back home with the ragtag remnant of his army only to be assassinated a short time later by two of his sons. Esarhaddon becomes the king but it was too late to salvage anything. A coalition of other kingdoms topple his rule, Babylon rises up and Assyria never again plays a major role on the world’s stage. Assyria challenged Jerusalem, who is your God? God answered. Assyria was no more. 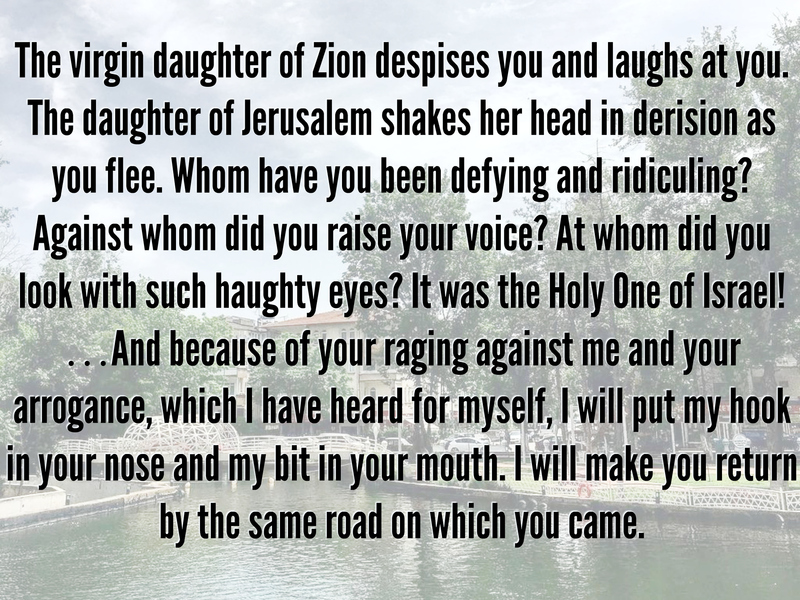 A lot of what Isaiah is alluding to here goes back to the very first page of the Bible. In the beginning, God created the heavens and the earth. Just think. Every single thing that exists today or ever in history came into being with a word. I would love to dive into how profound and mind-boggling this display of greatness is, but one of my pastors, Louie Giglio, can do so much more eloquently than I can. 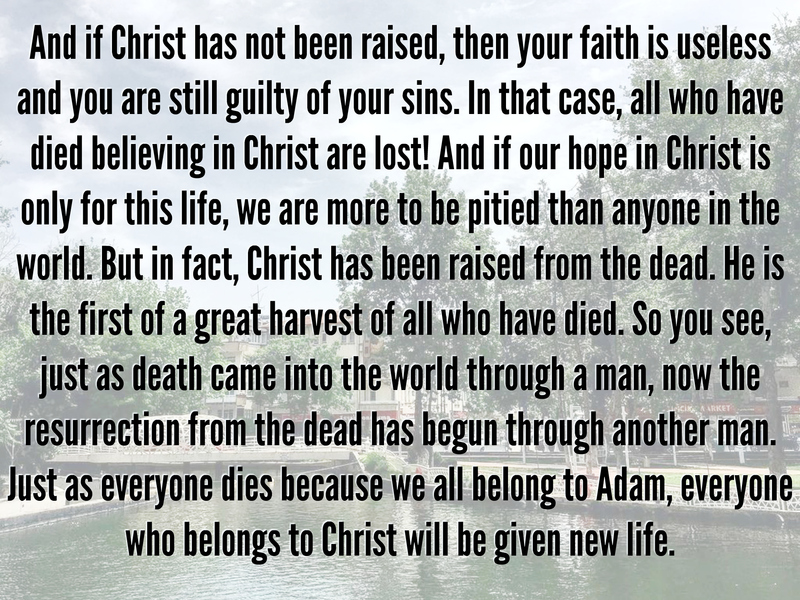 This resurrection Sunday is, without doubt, the greatest day in history. But for me, it still is not the answer to when God was at His greatest. For me, the answer to that question goes back about 37 years to a Sunday school class in a small town near Rochester NY. One of my earliest memories was of me in my living room all alone thinking about Jesus. I was wondering if Jesus knew when he was a little boy if he was God. That got me to thinking, could it be possible that I am God? The answer to that was a quick and easy no. Not possible. Why? Because I had done bad things. I had lied. I didn’t always obey my parents. So no, there is no chance that I could be God and, in fact, it was because of these things that I needed Jesus. Apparently, not long after I had these thoughts I shared them with my Sunday school teacher and Mrs. Wojack, in simple terms a young child could grasp, explained what it meant to surrender my life to God. From that moment on, I have never been the same. It was at that moment that all this other talk about God stopped being just an idea and became very real, here, now. That moment, for me, was when God was at His greatest. 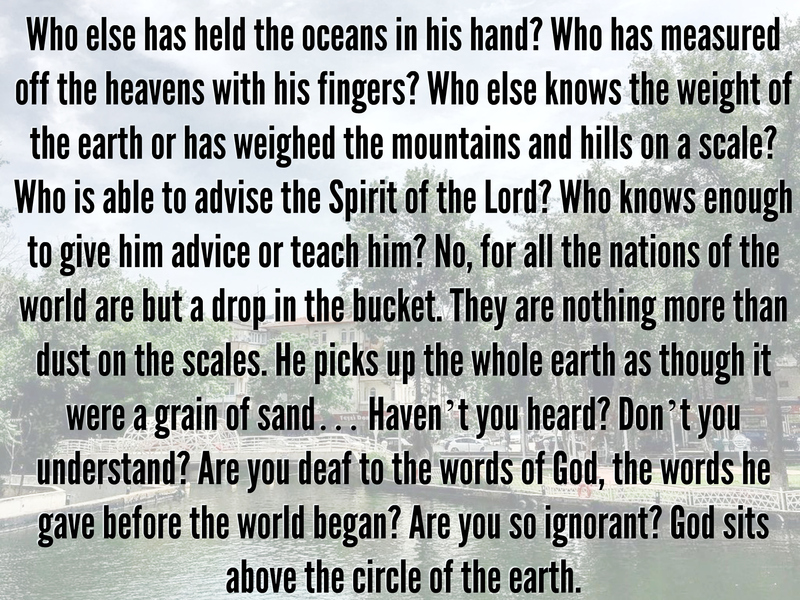 So I ask you one more time: When for you was God at His greatest? January 20, 2019 in Daily Walk. When I experienced the Holiness of God, the sinfulness of myself and the overwhelming love of God that passes all understanding, all in the same moment, in His presence, by His grace, in the Spirit. Beautifully written. For me, God is at His greatest all the time, moment by moment. An interesting post and intriguing question. Individually, the moment God intervenes in our lives, first at the Cross then at our salvation ranks pretty high. But God is great all the time. He is no less great working in your life than when He helped David slay Goliath. He is not greater working in my life than He is working in yours. It seems to me God is always at His greatest-everyday, every way. Good post bro. God is great all times. Especially Everytime when He forgives my sin.